Hi Everyone! It’s Pauline here to announce another National Stamp & Scrapbook Month giveaway! It’s Day 24 of 28 days of giveaways and I’m excited to announce that today’s giveaway is from Spellbinders! Don’t forget to leave your comment on today’s blog post for a chance to win. One winner will be randomly chosen!!! 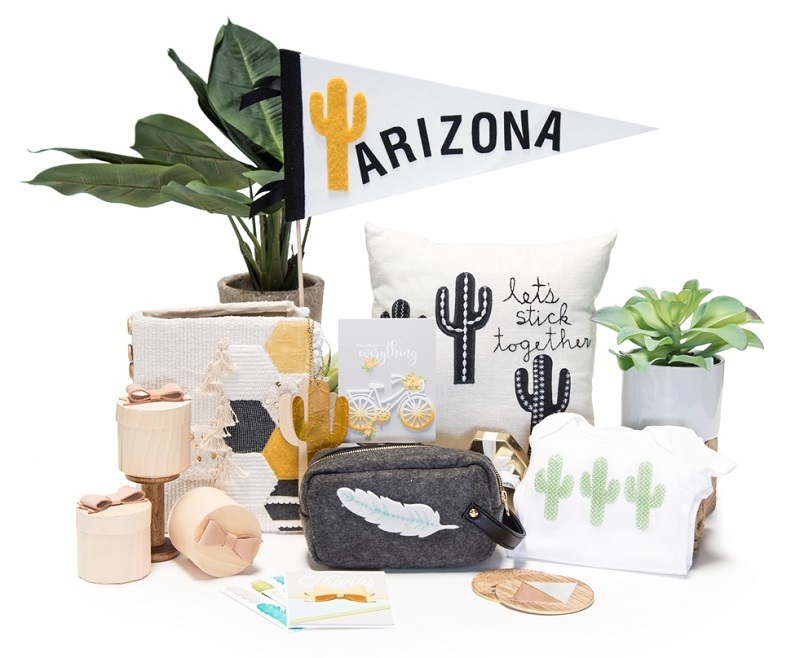 Spellbinders enables modern makers to pursue a creative life by offering die cutting machines and intricate die designs that cut, emboss and stencil. As a pioneer of innovative technology, Spellbinder’s revolutionary dies changed the format of manual die cutting worldwide. Always on the cutting edge of introducing innovation to the market, the company is known worldwide for its game changing products with more than 250 patented and patent-pending products across a different variety of craft genres. 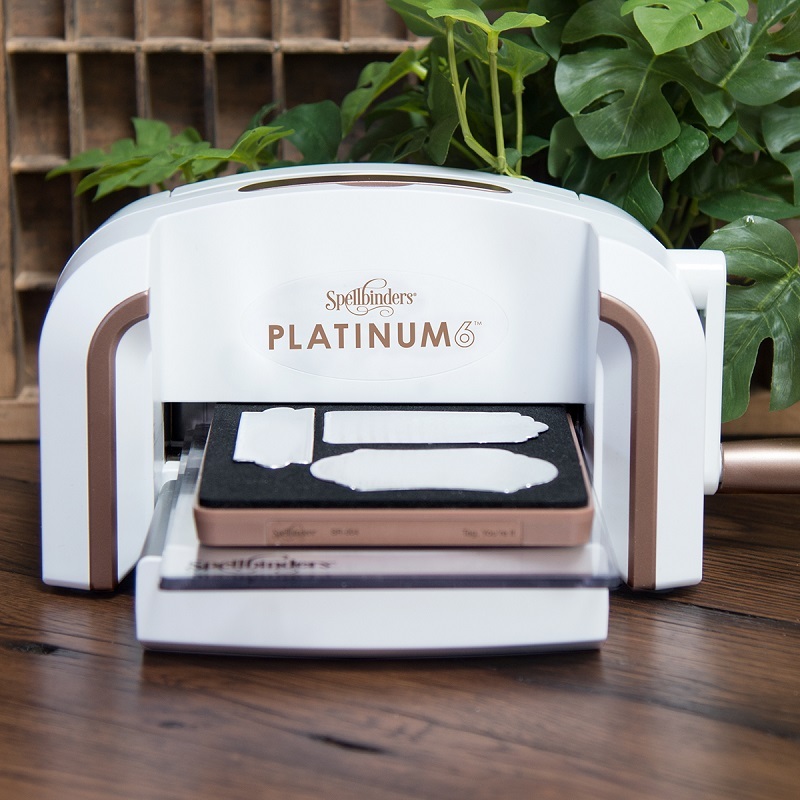 Spellbinders will be sending one very lucky winner this amazing Spellbinders Platinum 6 machine to help celebrate National Stamp & Scrapbook Month!. Platinum™6 offers a 6 inch cutting platform and the same performance as its larger counterpart using VersaCut™ technology for unsurpassed power, strength and durability. Created with a solid steel core construction, it effortlessly cuts up to six layers in a single pass when used with our Contour™Steel Rule Dies. Up for any creative challenge, Platinum™ 6 cuts through a wide range of thick to thin materials, from paper and cotton, to metal and balsa wood. Thicker materials require use of our Contour™Steel Rule Dies. Let the Platinum™ 6 Die Cutting and Embossing Machine power your creativity with unlimited possibilities. To enter for your chance to win this awesome prize, leave a comment on this post before Wednesday, March 6th at 11:59 PM. It’s that simple. The winners will be announced on Friday, March 8th on the blog. While we are waiting to see who the lucky winner is, you can hop on over to Spellbinders’s social media channels. You’ll find TONS of inspiration there. Don’t forget to leave a comment below for your chance to win. Good luck everyone and thanks for spending a creative moment with me!! This entry was posted in National Stamp & Scrapbook Expo Month and tagged Card making, Card-making, Cardmaking, Die cuts, Embossing, Giveaway, Scrapbook Expo, Scrapbooking, Spellbinders, Stamp & Scrapbook Expo. Would love to win the Platinum! Thanks for the chance! What a fantastic machine. Would luv to play with it. Love Spellbinders stuff, they always have fun things to work with. Love Spellbinders stuff they always have great things to work with. Truly a nice piece of technology. Wow, how nice and pretty, too. I could sure use this! I’ve seen this on so many blogs and it looks great!! I have a larger die cutting and would love a smaller one to sit on my desk so I don’t have to get up and walk to another part of my Studio every time I want to die cut. I love Spellbinders and subscriber to several of their kits! Thanks for a chance to win! I have followed Spellbinders for years and love their dies! They leave a crisp sharp image. Such a nice prize. Would love to win! So need and want this prize! That’s an upgrade for me! Love the Spellbinder die cutting machine! My friend has one so I use it every time I go to her place but it would be so nice to have my own!! Great prize, thank you for the chance to win! So cute, compact and so many amazing things you can use this for. Also colors make me happy. Would love to win a spellbinder. Great prize! Thanks for a chance to win! An awesome, awesome prize. Thank you for the opportunity. Oh, it would be so awesome to win this! My die machine just but the dust, and I so need this. I would love to win the Platinum 6! Great prize. I’ve been seeing a lot of people using this. Thanks. WOw! I Would love to win the Platinum! Thanks for the chance to win. Awesome and generous prize! Never used a Spellbinder but have seen what it can do! Woot,woot gonna get some win on!! I have admired this die cutter for a very long time. Would love to get one!